Have you ever worn a t-shirt with a cheeky logo to a party? Wasn't your night significantly better with a conversation starter on your chest? I have found that wearing statement jewelry, a slogan tee or an ugly christmas sweater makes it easier for the cute guy I've been eyeing to come talk to me or it gives me a smooth opening to talk about business with a possible client. Networking is such a large part of daily operations as an entrepreneur I created this line of products to make the process easier. Also, I am a firm believer that you, the owner, are the best marketer/advertiser/ambassador for your business. Who better than you to tell the world what your business is about? With all this in mind we have produced the Entrepreneur Store, a line of apparel for entrepreneurs who want to announce who they are and what they are about without saying a word. Now this amazing apparel is available on Amazon! The items are affordable and comfortable for whatever you do in your daily grind. I understand what it is like to hustle every day to make sales, please your customer and get your business recognized. Because I am the owner and I like to be comfortable I wear these items all the time and have been asked by strangers "what do you do?" This is exactly the reaction I hoped the apparel would elicit. 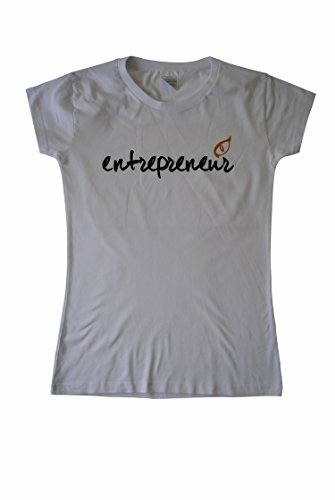 Entrepreneur Store apparel has for me and it will for you too! So check out Entrepreneur Store apparel, here, here or now here too and purchase something for yourself and for the entrepreneurs in your life, you'll be glad you did.